Dr Zaloszyc qualified in Paediatrics at Strasbourg University Medical School. 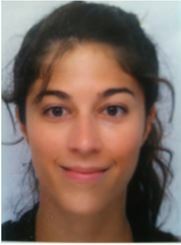 She subsequently trained in paediatric nephrology in the department: Pédiatrie 1 Grands enfants, Hautepierre, Hospital, Strasbourg, under the supervision of Pr Michel Fischbach. She subsequently undertook clinical and research on CKD and dialysis. She is associate professor in the Pediatric’s dpt. Her research interests include studies on adapted peritoneal dialysis in children.